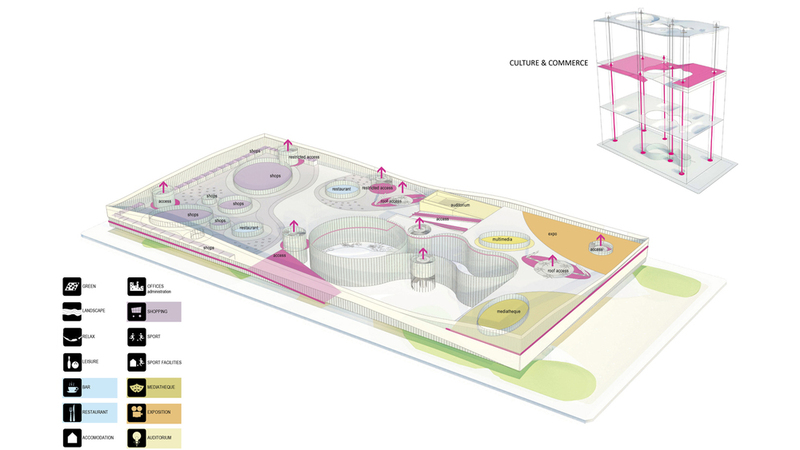 The Intents of the project are to generate an international multifunctional Hub. 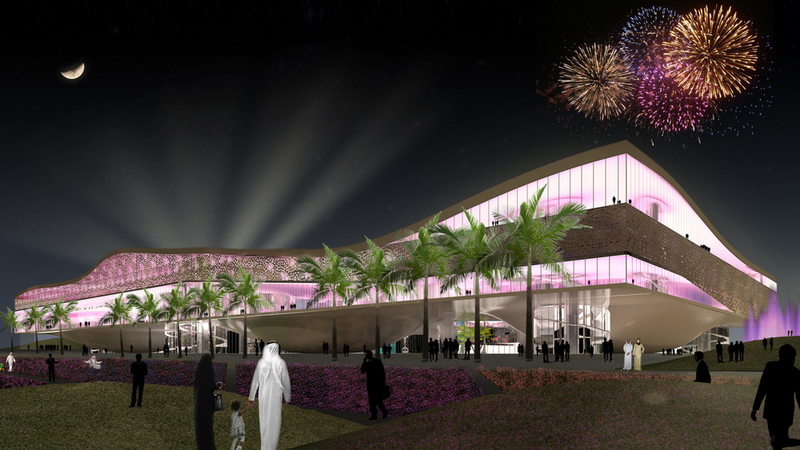 The Main theme is SPORT even though the general idea is to create a cultural centre to host several different functions during the day, the season or the year. The intervention also tries to link the neighbourhood with the building and at the same time the building with the surrounding. 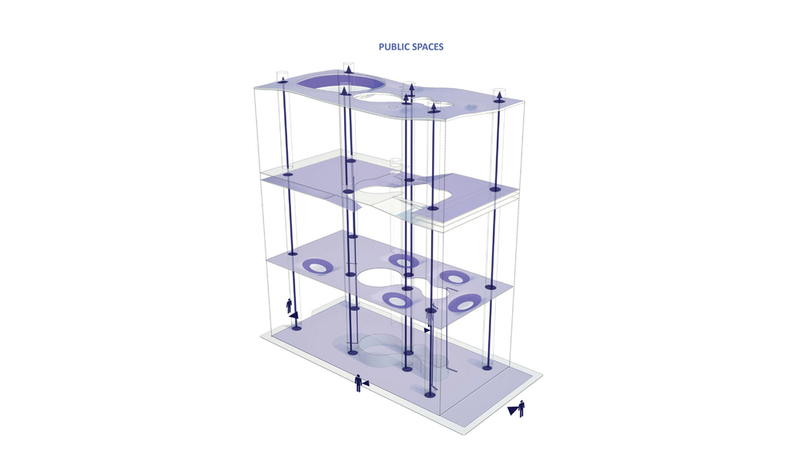 The main underneath public square, is accessible from all the sides linking different parts of Mizhar Area in Dubai. Sport is not only a social happening; it’s also, in this case, a multiplier of opportunities, business, trading, cultural interchange in a relaxing atmosphere connecting minds and creativities. 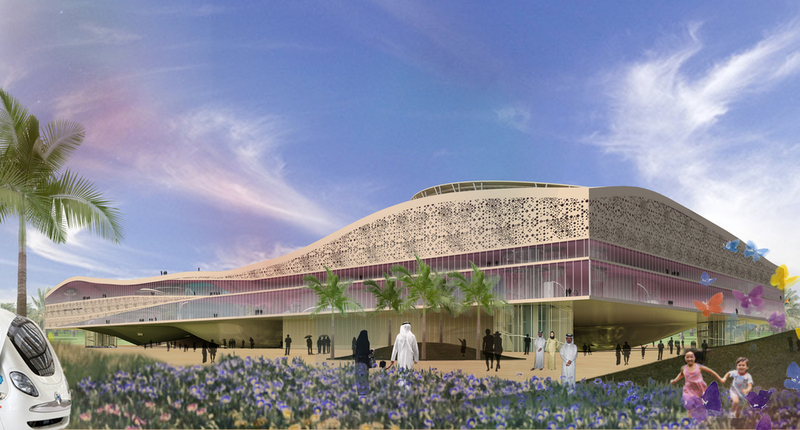 One big Building is concentrating all its functions in a living landscape like a huge piece of desert floating and making shadow for activities. 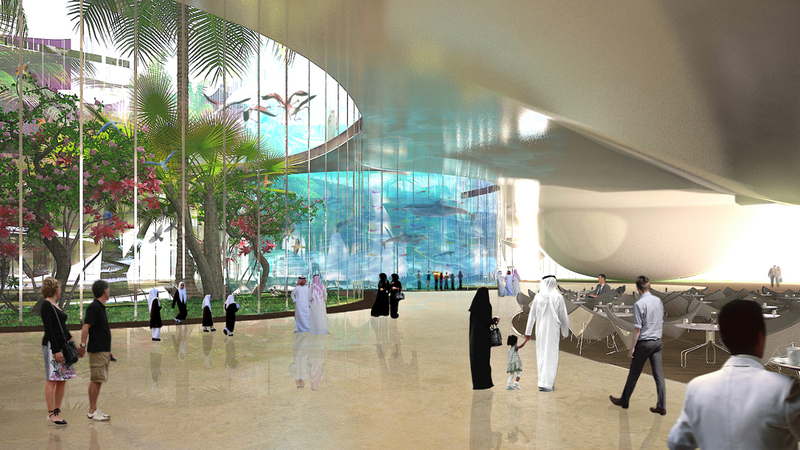 Pedagogical and cultural: aquarium, aviary, tropical garden, science museum, exhibition areas, cinemas and conference halls. Social and Commercial: Squares, shopping mall, restaurants kiosks, coffee shops and a big public Spa and beauty centre. 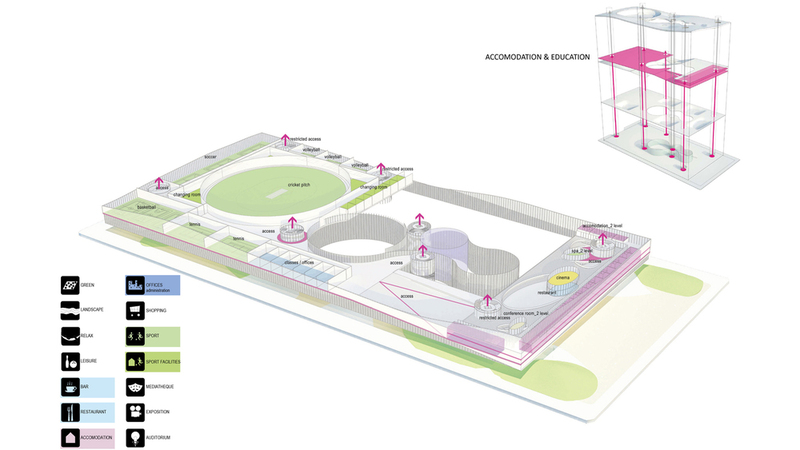 Sport: an entire floor is dedicated to multi stadium and facilities for events related to sport or cultural events. 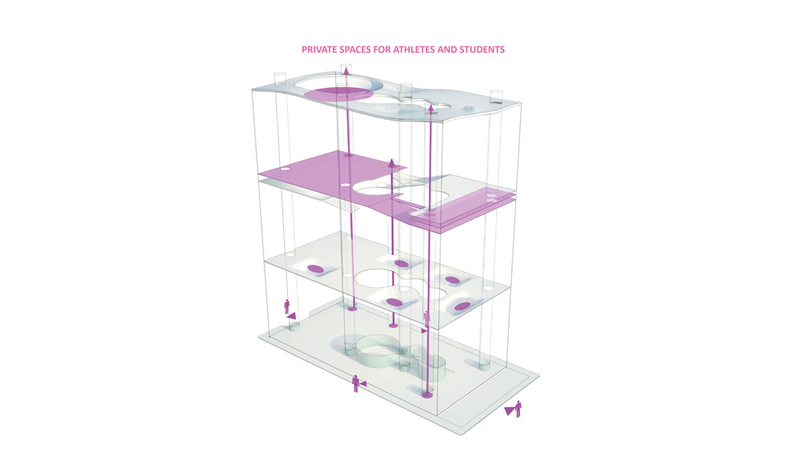 Educational: a tennis academy with space for learning and live for the students is hosted in the building with private wellness centre and various facilities. The roof of the building is representing an elevated desert, a “green space” where relaxing during the winter period, skating, running or wandering in the cactus gardens. From the roof it is also possible the access to the main Stadium designed to accommodate more important concerts or sport matches.